Miriam knows when death is coming. With a simple touch of your skin, she’ll suffer from an uncontrollable vision of your final moments. Obviously, this isn’t the easiest thing to deal with, so she stumbles from highway to motel, hitchhiking her way around, avoiding real life and her upsetting past. To afford her underground life and passion for cigarettes and alcohol, she notes her visions and stalks the closest to death. She never lays a hand on them, there’s never any need, they’re all on their way out one way or another. She’s just there to empty the cash out of their wallets and maybe use their credit cards a couple of times. One evening, after leaving a couple of guys beaten and bruised at the side of the road when they get a little too close for comfort, a trucker stops to give Miriam a ride. He’s built like Frankenstein, a friendly giant that she instantly warms to but when she touches him, his death moves her more than most. Not only will he suffer a grizzly death at the hands of a hairless man in a months time but her name is the last word to part his dying lips. She freaks out and runs away but as she’s found out numerous times before, what fate wants, fate gets. Miriam is one of the most fantastic and ballsy female characters I have ever read. Self-assured, can handle herself in a fight but not unrealistic enough to not know when she might be out of her depth. Also, I couldn’t help but love her imaginative insults and use of swear words, enough to make me laugh out loud at points. Although this might be labelled as urban fantasy, please don’t get this confused with your romantic vampire style of novel. Replace any romance with a masculine style lust and blood-sucking with horror style gore that’s brutal enough to make you cringe and you’re a bit nearer the mark. 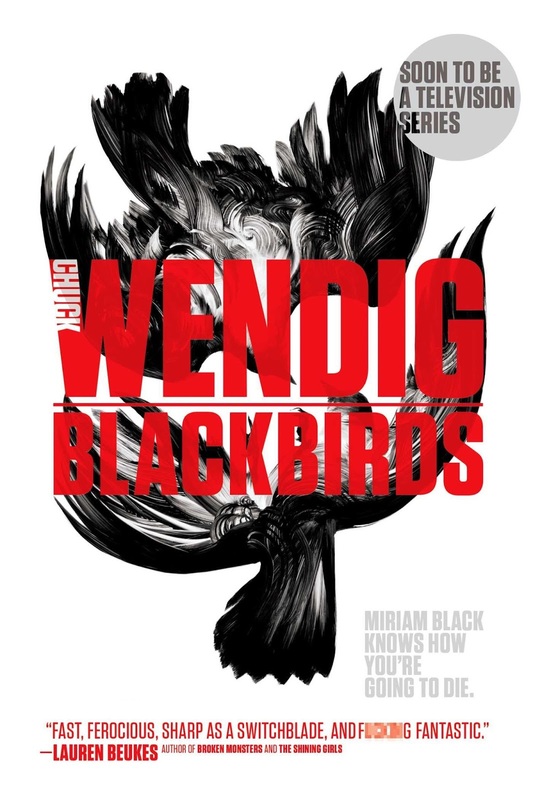 For a gutsy, trailer trash glam, roller coaster ride of a book, you won’t beat Blackbirds. I loved it and can’t wait for the follow-up. I've read Mockingbird, and it's damn good! You'll enjoy it I'm sure.